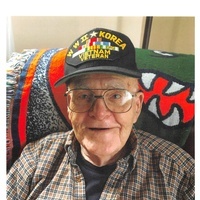 Paul Warren Gerrard of Lake Wales passed away Saturday, January 26, 2019 at Good Shepherd Hospice in Auburndale, Florida. Paul was born in Wolf Summit, WV on January 2, 1927. He was one of seven (7) children, parents of Cleveland and Iva Gerrard. Paul joined the Navy during World War II in 1944. He saw action in the Pacific during World War II, the Korean War and Vietnam War as part of the Navy Air Corp. He retired in 1973 after 30 years of service as an E-9 Master Chief. After he retired, he went to college under the GI Bill for 7 years receiving a BA degree in Business Administration. In 1984 he went to work for H & R Block then Beneficial Finance. In 1984 he became the Administrator at Madeira Drive Baptist Church and was at this job for 22 years. Paul met and later married Mary Nell Taylor from Brewton, Alabama, on December 22, 1950 while stationed at Whiting Field, Milton, Florida. Paul and Nell were married for 68 years and have two (2) children, Peggy Ann Gerrard Vann (Gary Vann) and Paul Warren Gerrard, Jr. (Robin Gerrard). They have three (3) grandchildren, Christopher Allen Vann, Tiffany Gerrard Weaver and Robert Dorety and eleven (11) great grandchildren. Paul and Nell moved to Lake Wales in 2005 and were members of Golf View Baptist Church. He loved the Florida Gators and the Saint Louis Cardinals. The funeral service will be held 10:00 a.m. Wednesday, January 30, 2019 at the Marion Nelson Funeral Home in Lake Wales with Rev. David Koon officiating. Interment will follow at the Florida National Cemetery in Bushnell with full military honors. In lieu of flowers, donations may be sent to the Good Shepherd Hospice at 105 Arneson Avenue, Auburndale, Florida 33823.